If your account schedules are not balancing, there’s one really great place to check and two best practices that will save you some long hours balancing any account schedule. The report is pretty simple, and will list all your balances, account by account, and even includes an option to print to Excel which is handy because then you can easily compare to your account schedules to help you find the imbalance. The number one cause of account schedules that don’t balance is because you have added a new general ledger account to NAV and have neglected to also add the account to the reports you have designed with account schedules. In order to prevent this from happening, the moment after you finish adding an account to the general ledger, immediately proceed to account schedules to go insert the new account there. Do not wait. Don’t believe you’ll do it later. You will forget. Do it now. Really. 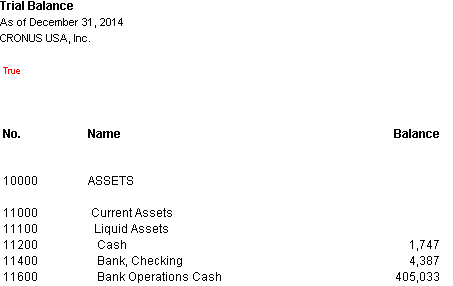 If you can’t figure out which account has caused the problem, run yourself a copy of the NAV canned trial balance. The canned trial balance will automatically pick up new accounts which you’ve created and you’ll be able to quickly see which account is missing from your account schedules. 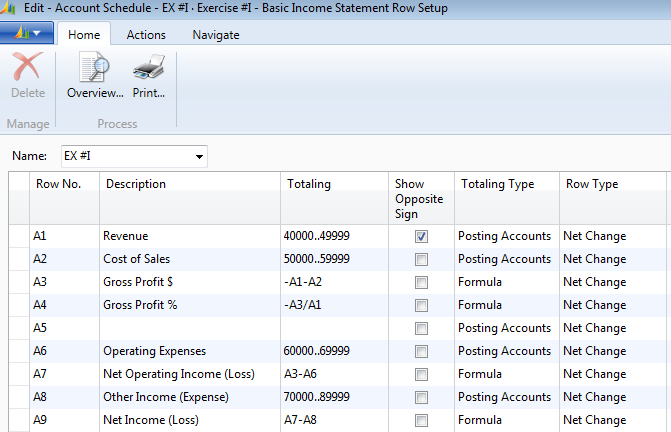 In order to avoid having to deal with the above, take the time to build your account schedules using continuous account ranges. The example below shows perfectly designed continuous account ranges. There is no room to insert a new general ledger account number in between these ranges. 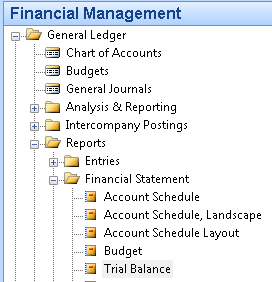 Account schedules, when designed this way, will automatically pick up newly created general ledger accounts every time.